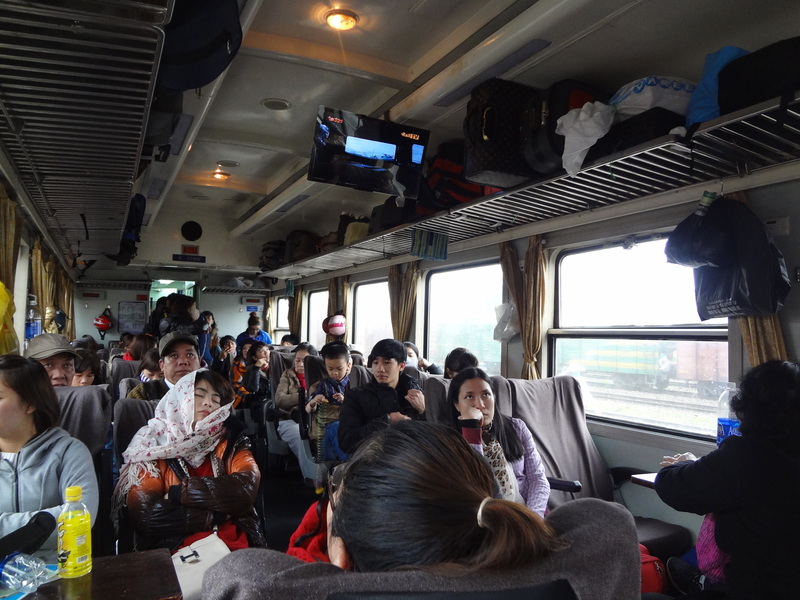 I left Đồng Hới by train, thinking about all amazing adventures which, so far, have impressed my mind and heart. The journey continued. I looked forward to go on, always knowing that there were still awesome things waiting to be seen. Can I recommend anything, like comfortable seats or tasty meals? No. Should you go by train too, if you have the possibility to do so? Yes. But never allow yourself to think for an instant that vietnamese trains are on time. There are some rules you should stick to when you decide to go by rail. Always be patient, never hurry. The average delay ranges between two and three hours. You can’t be that late. The waitinghalls are used to be overcrowded. 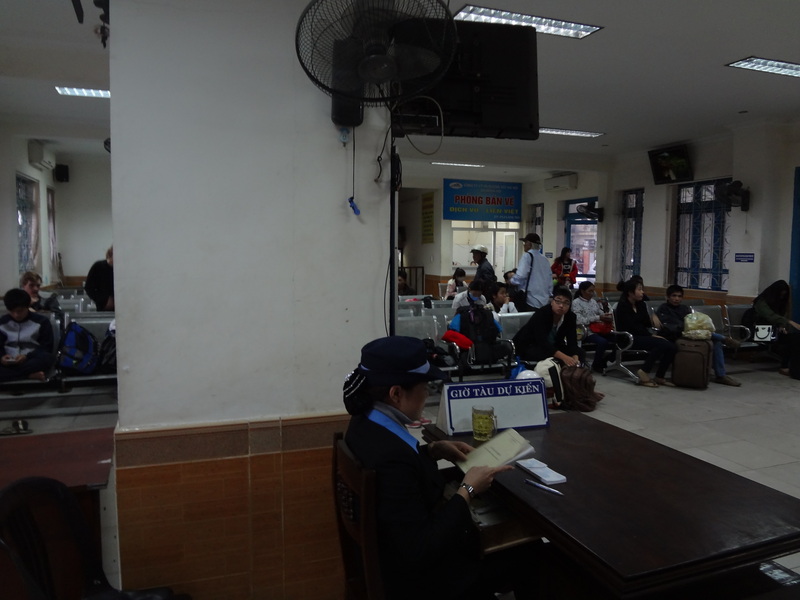 But if it’s possible, try to find a seat next to the information counter! There is a chalkboard where the new arrival times are listed. If you decide to buy some food or water at the train station, what I would recommend you, always check your change! Most of the time you don’t receive enough change. Don’t worry, if you point it out they would just react insulted, but give you back the money immediately. And now I’m gonna tell you about my experiences! As I already told you the train was, as usual, delayed, and I waited about three hours for it to arrive. It was pulling into the station with a loud humming noise and squeaking breaks. I entered an old, rusty wagon and made my way to the soft seat with the number 15, which I have booked previously. The guy sitting next to me was so friendly, he helped me carrying my bags and even promised me to inform me when we would arrive at Da Nang. The trip was pretty exhausting and took forever but with all the conversations it went by at least a little faster. 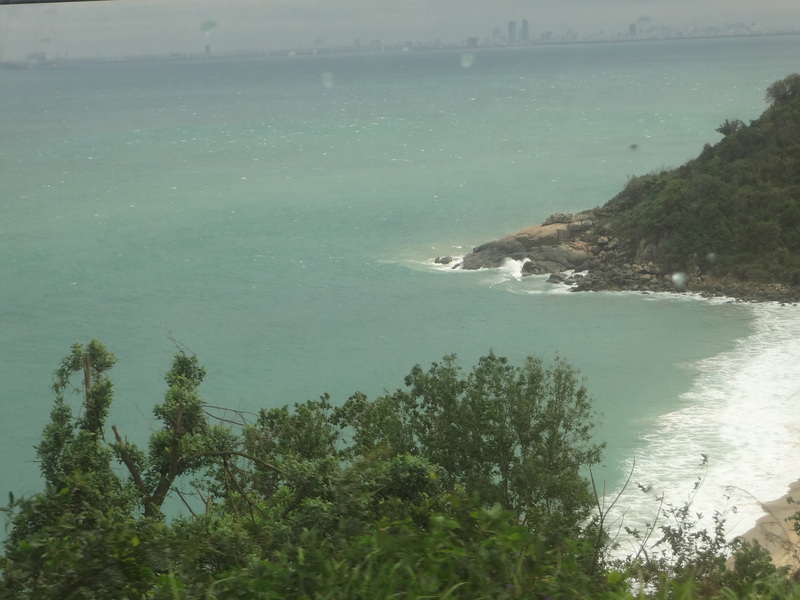 Just before we arrived at Da Nang we passed the famous Hải Vân Pass, an approximately 21 km long pass. In ancient times, it was the border between the kingdoms of Champa and Đại Việt. In Vietnam it is called Đèo Hải Vân, which means “ocean cloud pass”. This name refers to the fog moving like a blanket over the landscape most of the time. And today, as well, heavy fog covered the land. 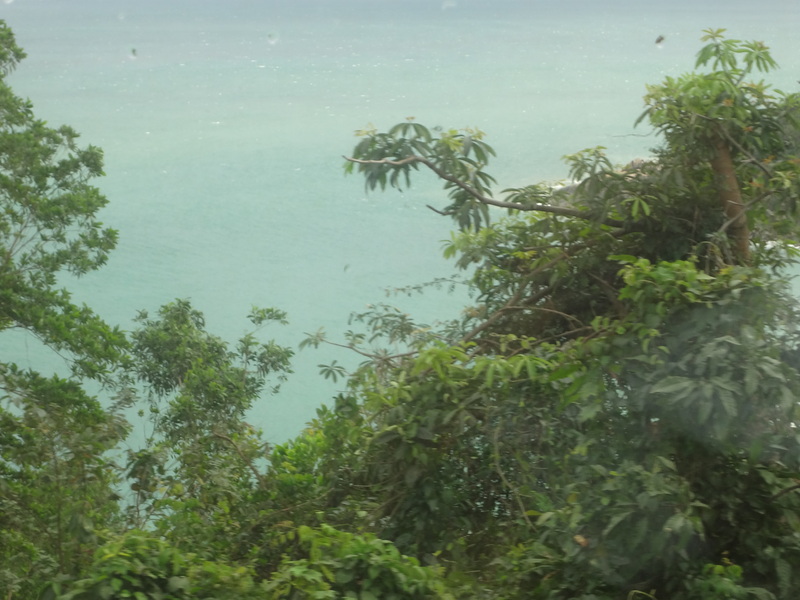 But as we reached the pass’ highest point, suddenly the sky cleared up and I was rewarded with a wonderful view of the lagoons and the sea!There were beautiful beaches. Even the continuing uncontrolled acceleration and deceleration of the train which forced me to stay up the entire ride was now just a minor issue. I was visibly impressed when I overlooked this romantic and a seductive scenery. The ride was amazing, despite my lack of sleep I arrived still excited and curious at Da Nang.